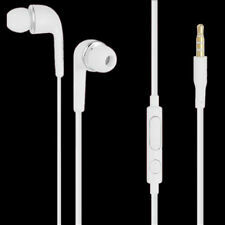 Compatible with all models of iPhone, iPad, iPod, and Mac that have a 3.5mm Headphone Jack. COMPATIBLE WITH ALL SAMSUNG DEVICES!!! FREE SHIPPING!!! 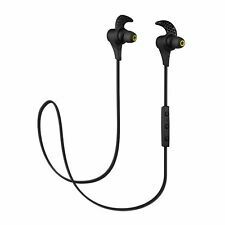 TT-BH07 Earbuds that work with the latest Bluetooth 4.2 technology; easy and fast pairing with smartphones, tablets and other Bluetooth enabled music devices; aptX codec provides pure, CD-like high quality sound for compatible devices. (No Remote & Mic). We Will Try Our Best To Reply Back With In 24 Hours. Samsung Galaxy S9. Samsung Galaxy S9 . Samsung Galaxy S7. Samsung Galaxy S7 Edge. Samsung Galaxy S4, S5. Samsung Galaxy S8. Samsung Galaxy S8 . Samsung Galaxy S6. Trending at $5.89eBay determines this price through a machine learned model of the product's sale prices within the last 90 days. If you want to link another iPhone, you must disconnect the Bluetooth link from the original iPhone first and plug the new iPhone then do the step 2 on the new iPhone. 1 Bluetooth Earbuds. Go to Settings > Bluetooth (turn on) > Select "Earphone or Lightning". 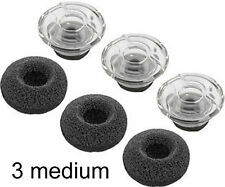 Earpiece Design Earbud (In Ear). Earpiece Double. Connectivity Wired. Type Headset. Microphone On-cable. Connector(s) 3.5mm Jack. Like new condition. Tested, works properly. 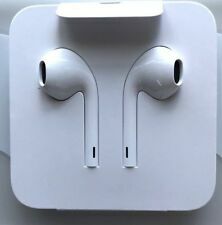 GENUINE APPLE A iPhone 7 8 X iphone 7 Plus EarPods Earbuds Headphones Lightning Connector Removed from iPhones . No retail packaging AUTHENTIC APPLE EARBUDS PLEASE SEE FEEDBACK AND SELLING HISTORY THANK YOU FREE SHIPPING Features: --- Designed by Apple --- Deeper, richer bass tones --- Greater protection from sweat and water --- Control music and video playback ---Answer and end calls ---Earbud design Specifications: --- With Remote & Mic --- Lightning --- iOS --- Audio Connector DOESN'T COME IN RETAIL PACKAGING. REMOVED FROM IPHONE 7 BOXES. FREE SHIPPING. 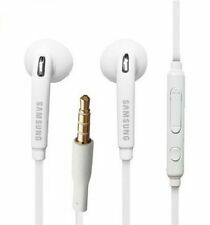 The Samsung U Headphones are an ideal choice for high quality music on the go. The magnetic earbuds conveniently clasp together, reducing clutter when not in use. 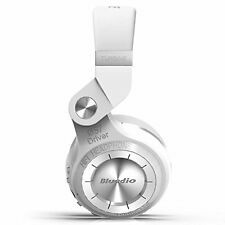 Large 12mm speaker and active, dual-mic noise reduction ensures quality sound and ease of wear. Personal style preference and price are the only factors that should come into play here, because these headsets are all quality picks. Since most modern smartphones come with their own headsets, they're probably not something high on your list to customize or replace. Which would be a shame, since there are so many options to choose from instead of the usual black or white wired headset your phone came with. 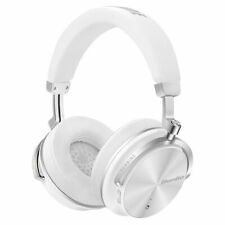 You can get ultra-minimalist Bluetooth headsets to get rid of the tangled wires problem altogether. A sportier, waterproof pair is perfect for the gym or when you go out for a walk. Here are some of the favorites that put together all of the above and more, and we hope it helps you find the perfect pair to match your unique style or mood for the day. While maybe not as fashionable as they used to be, cell phone headsets are still a great option when it comes to convenience. Whether you need to answer calls unexpectedly while listening to music on your morning commute, or simply need both hands on the wheel while driving, there’s a headset out there for you and it doesn’t need to break the bank. Cell phone headsets allow for hands-free conversation while you engage in other tasks. For drivers on the road, these units offer the ability to communicate safely behind the wheel. 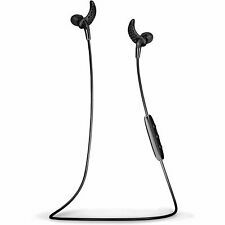 Bluetooth headsets offer freedom of movement for runners, dog walkers, and other outdoors enthusiasts. What features in Bluetooth headsets are good for drivers? Bluetooth and wireless: This allows for greater range of movement behind the wheel and no worries about the wire coming loose from the jack while driving. 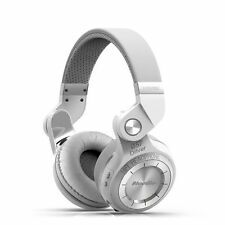 Noise-cancelling: With wind and engine sounds, choosing a noise-cancelling headset will help with focusing on and hearing your phone conversations on the road. Durability and comfort: If you are looking for a headset with the hope that it will last for a long time, be sure to investigate the overall durability as well as how comfortable it feels while wearing it for long periods of time. 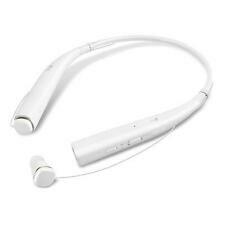 Talk time between charging: Many higher-end Bluetooth headsets offer up to 12 hours of talk time. 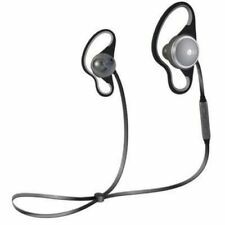 Which cell phone headsets work when exercising or running? Do Bluetooth headsets block environmental noise? Yes, you can find noise-cancelling Bluetooth headsets that allow you to fully focus on your music or phone conversation when you're in a noisy environment, such as at outdoor venues like sporting events, within loud work environments, or while you're driving on the open road.